Allieciné is happy to announce that '42 Seconds of Happiness' has added Spanish, Greek & German subtitles to the film on Amazon. If you're outside of the US and the 67 other territories where Amazon Prime English content reaches, you probably haven't had the option of enjoying many independent films produced in English. Un fin de semana en las afueras de Nueva York, están reunidos un grupo de amigos para celebrar el primer matrimonio gay de la compañía. Todos están tratando de mostrar su mejor actitud. Sin embargo el exceso de alcohol, algunas llegadas repentinas, planes y pensamientos ocultos de algunos de los asistentes, reviven viejas envidias y problemas no resueltos, que les conducen a una vorágine de revelaciones devastadoras, produciendo un desenlace dramático. Ένα σαββατοκύριακο στα προάστια της Νέας Υόρκης. Μια ομάδα φίλων συγκεντρώνεται για να γιορτάσει τον πρώτο ομοφυλοφιλικό γάμο της παρέας. Όλοι προσπαθούν να δείξουν τον καλύτερό τους εαυτό. Ωστόσο, το άφθονο αλκοόλ, κάποιες ξαφνικές αφίξεις, κρυφά σχέδια και μυστικά που βγαίνουν στη φόρα, αναζωογονούν παλιές πληγές και άλυτες εντάσεις, και οδηγούν σε μια καταστροφική δίνη αποκαλύψεων και, τελικά, σε μια ανεξέλεγκτη, δραματική έκρηξη. Eine Gruppe von Freunden trifft sich für ein Wochenende in einem New Yorker Vorort, um die erste homosexuelle Hochzeit ihres Freundeskreises zu feiern. Es werden Geheimnisse aufgedeckt, Alkohol fließt in Strömen und eine unerwartete Ankunft führt zu einer hochdramatischen Auseinandersetzung, die sie nicht mehr in den Griff bekommen. '42 Seconds of Happiness' is distributed by Indie Rights. AFTER FOREVER screens on Sunday, March 31, 2019 at 12:30pm at the Jersey Shore Arts Center. 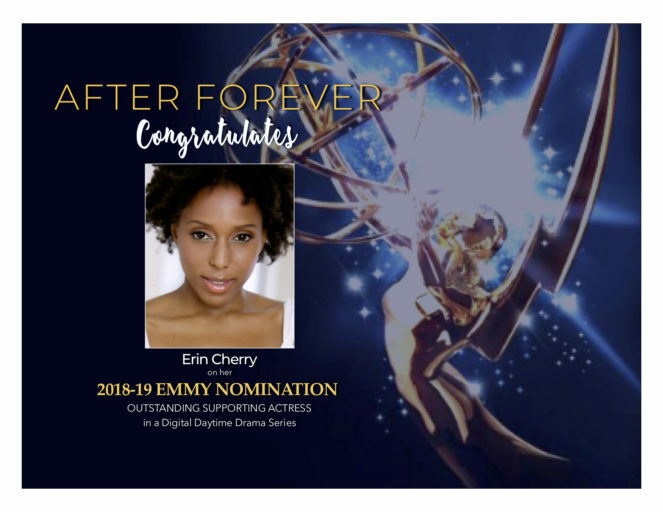 Join Emmy Nominated series AFTER FOREVER in New Jersey at the 17th annual Garden State Film Festival. The festival runs March 27 - 31, 2019. Members of the cast and creative team will be in attendance. Following the screening there will be a Q&A. AFTER FOREVER screens on Sunday, March 31st at 12:30pm at the Jersey Shore Arts Center. For tickets & venue information please click here. 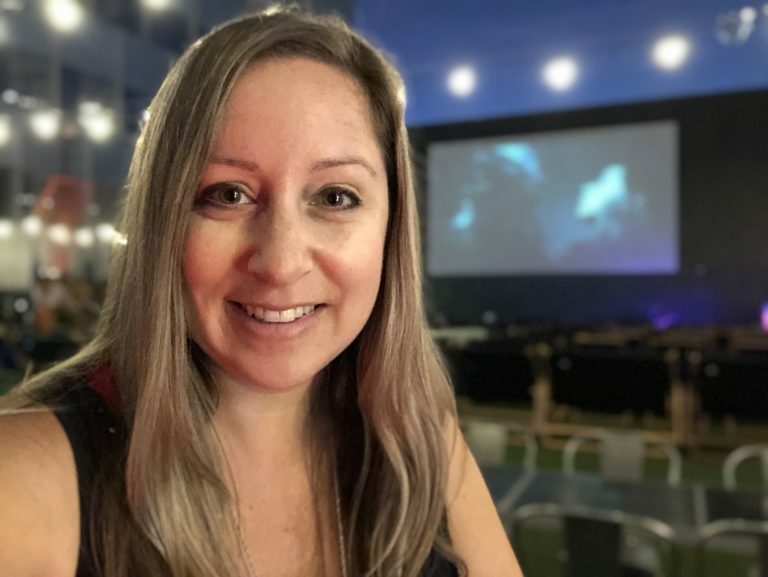 This Friday, March 29th, producer Allison Vanore will join other industry experts at the HollyWeb Festival for the Industry Day panel Steps to Success. This Friday, March 29th, producer Allison Vanore joins other industry experts at the 8th annual edition of the HollyWeb Festival for the Industry Day panel Steps to Success. 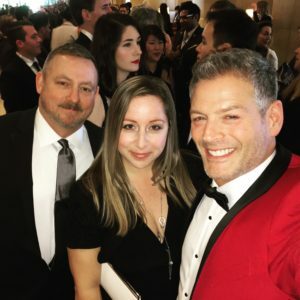 HollyWeb Festival celebrates digital content with four days full of panels, networking, screenings, parties, and awards from March 26 - 30, 2019 at Universal City Walk. How do you take the digital work you do and turn it into a viable career? Hear from HollyWeb alumni who have done just that as well as experts in the field who are career aggregators. 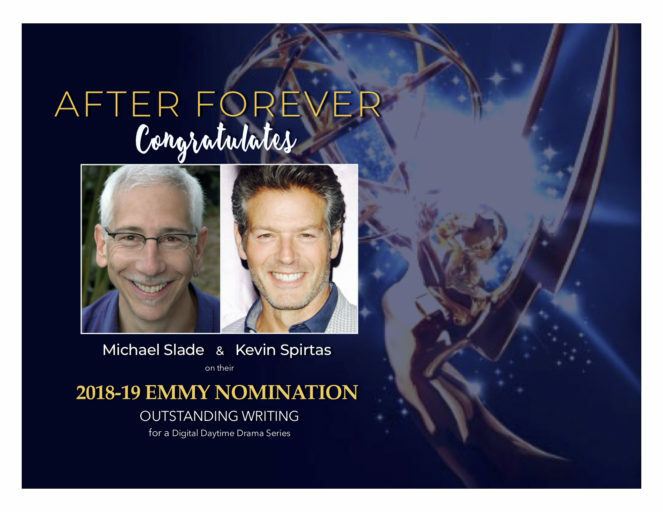 AFTER FOREVER co-creators/co-writers Michael Slade & Kevin Spirtas were honored with a nomination for Best Short Form New Media 2019 at the Writers Guild of America Awards which took place Sunday, February 17, 2019. 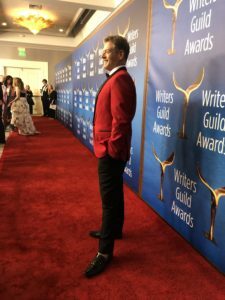 Kevin Spirtas and producer Allison Vanore attended the WGA West ceremony in Beverly Hills, CA and Michael Slade attended the WGA East ceremony in NYC. Fellow nominees include LOVE DAILY, WEST 40s, and this year's WGA winner CLASS OF LIES. Catch a great write-up about the nominees in the Written By magazine Writers Guild Awards Issue. 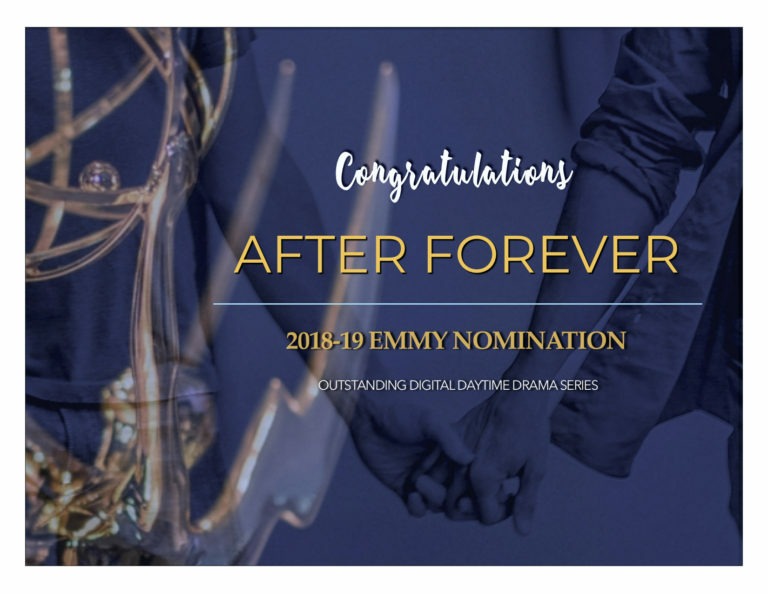 AFTER FOREVER looks forward to upcoming Indie Series Awards in April and the Daytime Emmy Awards in May. Podcasts are growing enormously in popularity and just like any storyteller, we're extremely interested in the podcast medium - both as a fan and a producer/creator. The taco. We’ve all had one. It doesn’t matter where you live. Race, religion, diet. In the last few years, it’s become the new burger. In its simplest form in America, it’s meat, onions & cilantro in a tortilla. Host Rob Gokee, a Los Angeles native & author of the book Tacocity, takes you on a journey of not only taco discovery, but the people who took a chance, and in some cases risked everything to bring their own recipes & dreams to life. Every episode is a different story, a unique look into taquerias across the country! Listen to "Pobre Diablo - Tacocity" on Spreaker. Gary Mitchum Reeves, from the hit legal/social justice podcast Undisclosed, tells stories of bootlegging, growing up too fast, and being accused of a murder he didn't commit. Join Mitchum every week as he talks about the people, places & events that have made up his life, direct from his porch in Rome, Georgia. Listen to "Beaty Part 3 - Mitchum" on Spreaker. I encourage you to check them out! Subscribe to the channels where ever you listen to podcasts: Apple Podcasts, Spotify, Spreaker, I Heart Radio... the list goes on. After you've checked them out, leave us a rating and a review so that more people can find the shows! And who knows... you just may hear about some more new podcasts coming soon. ‘The Rainbow Experiment’ is Coming! "The Rainbow Experiment" releases on VOD this Friday where ever you watch movies. Author adminPublished on December 3, 2018 December 3, 2018 Leave a comment on ‘The Rainbow Experiment’ is Coming! "The Rainbow Experiment" releases on Video on Demand this Friday where ever you watch movies. You can also find the movie in a limited theatrical run in Los Angeles at Arena Cinelounge including a one night special event at the Montalban Rooftop on Saturday, December 8th at 5pm sponsored by Formosa Hot Sauce. Select screenings will include a Filmmaker Q&A. Tuesday, Dec. 11th the film will release on DVD and Blu-ray. You can pre-order now on Amazon. The perfect gift for those cinephiles in your life! For upcoming tickets in Los Angeles visit www.arenascreen.com. VOD and DVD/Blu-ray releases brought to you by Gravitas Ventures. Published on December 3, 2018 December 3, 2018 Categories Indie filmmaking, Just Released!, News, Press, Upcoming allieciné EventsTags Allison Vanore, Arena Cinelounge, christina kallas, Gravitas Ventures, Montalban Rooftop, The Rainbow ExperimentLeave a comment on ‘The Rainbow Experiment’ is Coming! 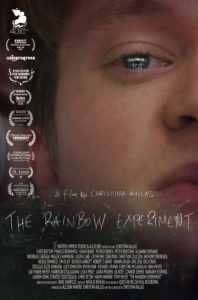 Award-winning film THE RAINBOW EXPERIMENT will be released on VOD/SVOD on December 7 via Gravitas Ventures. THE RAINBOW EXPERIMENT, Christina Kallas’ award-winning ensemble film, a post-modern whodunnit set in an New York City high school when a student is permanently injured during a science experiment on school grounds, was acquired for worldwide release earlier this year by Gravitas Ventures, a Red Arrow Studios company. It will be released on VOD/SVOD on December 7 and on BluRay/DVD on December 11. 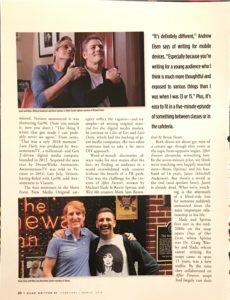 It will also have a theatrical run, starting in Los Angeles at the Arena Cinelounge that weekend, immediately following the release of the film digitally. The film had its international premiere at the Moscow International Film Festival, and has played a number of key film festivals like Cinequest, Cleveland, St. Louis, FIRST in China and Thessaloniki, winning numerous accolades along the way. In 2016, Kallas scored on the film festival circuit with her award-winning debut feature, 42 SECONDS OF HAPPINESS—currently on Amazon and other platforms in 68 countries. 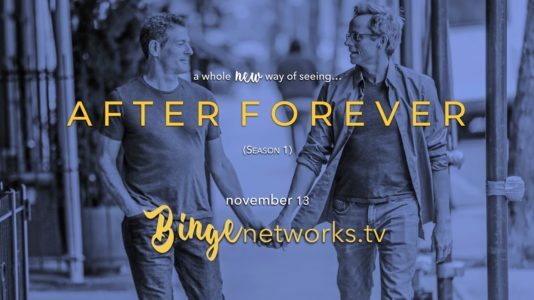 AFTER FOREVER is an award-winning short-form series that tells the story of Brian and Jason, a 50-ish New York City gay couple. It launched on April 24 on Amazon Prime to US and UK audiences and November 13 catapults to worldwide audiences with Binge Networks’ new LGBT genre channel. The AFTER FOREVER release also includes exclusive bonus content with creators’ audio commentary and cast and crew interviews. The show will also have it’s own Spanish channel on the platform where the series can be enjoyed complete with Spanish subtitles. 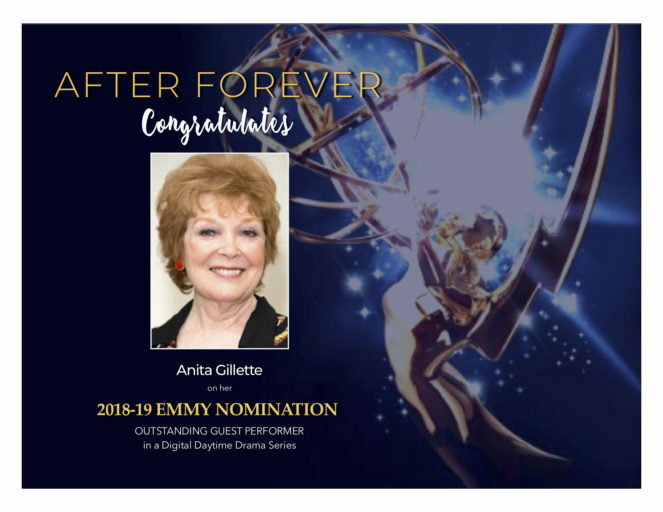 AFTER FOREVER has scooped up awards and accolades around the world including Best Series at Out on Film Atlanta, Big Apple Film Festival, LA Indie Film Festival, Tuscany Web Fest, and Best Female Performance in a Drama at the International Academy of Web Television. 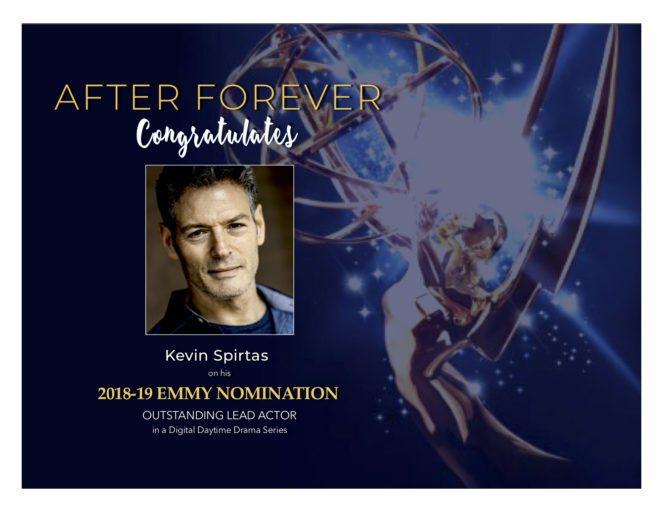 The eight-episode first season, which follows the couple and their friends through a journey of love, loss, and moving on, stars Emmy Award-nominee Kevin Spirtas (Days of Our Lives, The Boy from Oz, Friday the 13th: Part VII) and Mitchell Anderson (Doogie Howser, MD and Party of Five). The two actors are joined by Tony Award-winner Cady Huffman (The Producers), Drama Desk Award-winner Michael Urie (Torch Song, Ugly Betty, Buyer and Cellar), Anita Gillette (Moonstruck), David Dean Bottrell (Boston Legal), Jim Newman (The Village People), Finn Douglas (House of Cards), Robert Emmet Lunney (The Exorcist TV series), and Colleen Zenk (As the World Turns). 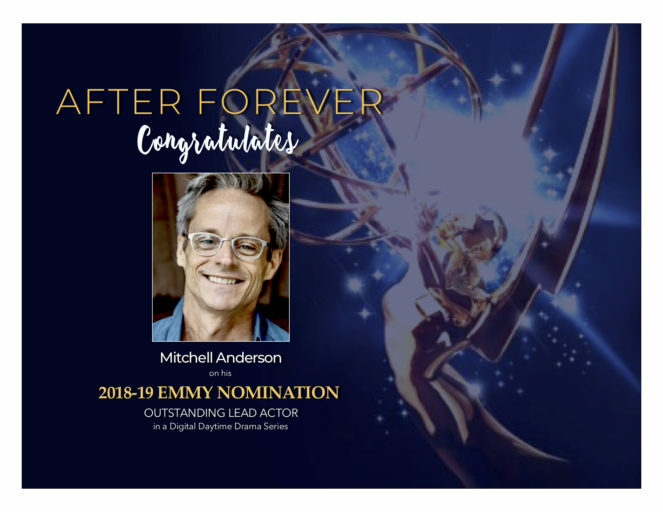 After Forever was co-created by Emmy nominee Michael Slade and Spirtas. 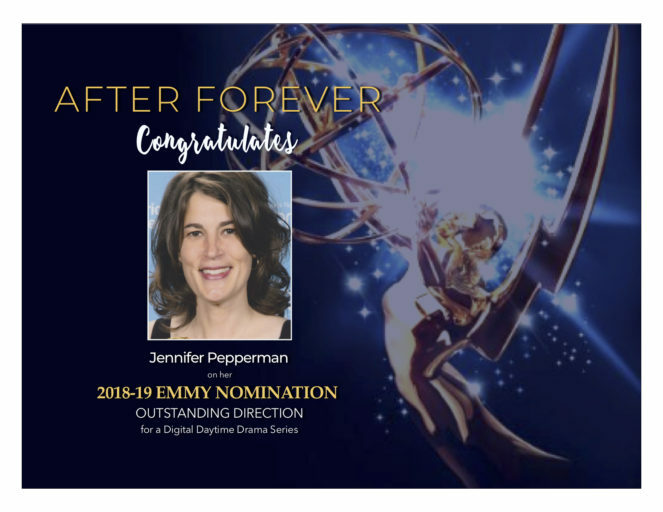 The first season was directed by Emmy Award-winner Jennifer Pepperman.